27 Weeks Pregnant & Bump Shots! Total weight gain:Gained a total of 18 pounds! Pre pregnancy was 138 and now I am 157! I was shocked to see that growth spurt but I am still right on track! Maternity clothes? I still dont find maternity tops to be 100% needed, however I can not fit comfortably into most of my pre pregnancy pants anymore. Stretch marks?no new ones to report THANKFULLY! Sleep: not to bad. sometimes she keeps me awake with her tossing and turning… and I keep dreaming of giving birth. Miss anything? Being able to shave my legs and erm… private area with ease. Movement: soooo much and a few I would classify as painful! shes awake ALOT shes awake like every 2 to 3 hours and she will be up for 10-30 mins at a time. She also has the hiccups every day! lol so sweet makes her very angry though! Symptoms: WHERE DO I BEGIN? I have officially started having braxton hicks every other day once or twice. I am also REALLY HUNGRY so increase in appetite, I have been having some mild hip pain/stretchy pains. I am in full getting ready for baby mode its all I can think and talk about! Best Moment of the week? The whole week was seriously PERFECT we had a great baby moon camping on a farm near Austria. We played with the animals, went swimming in a lake, got some SUN, went to Salzburg Austria, ate ice cream, went to a spa, did some hikes. it was an awesome week! 25 Weeks Pregnant & Bump Pics! How far along? 25 Weeks! Sleep: SOOOOO SHITY. some nights are to hot, my dreams are super weird and I cant turn my mind off. Movement: still loads. she really likes flipping around at the moment. Food cravings: still peanut butter and milk. My youtube Video Blogs and Channel! 24 Weeks Pregnant & Bump Pics! 6 Months Pregnant! Total weight gain: Gained a total of 11 pounds! finally passed the 10 pound mark and doing really great! Stretch marks? That thing does not seem to be a stretch make based on how fast it fading and healing thankfully! Movement: O my goodness YES she is such a strong little girl. some kicks ALMOST hurt. shes likes hanging out really high and kicking my ribs. Food cravings: Peanut butter milkshakes. (homemade) iv had one every day for the past 5 days! Happy or moody most of the time: Very Happy but I will admit to being a little more snappy than usual. Best Moment: Feeling baby girls feet kicking with our hands so strong! Total weight gain: Gained a total of 8 pounds so far! not sure forgot to weigh myself for this week 😉 will do this sunday. Maternity clothes?! Of course! they are a must now! Stretch marks? I really hope what I am seeing is not a new one on top of an old one. if its not gone by next week ill officially consider it one. Movement: Belly is starting to change shapes, it will go lopsided sometimes but ya tons of kicks still. Food cravings: Possibly a start of a new one. 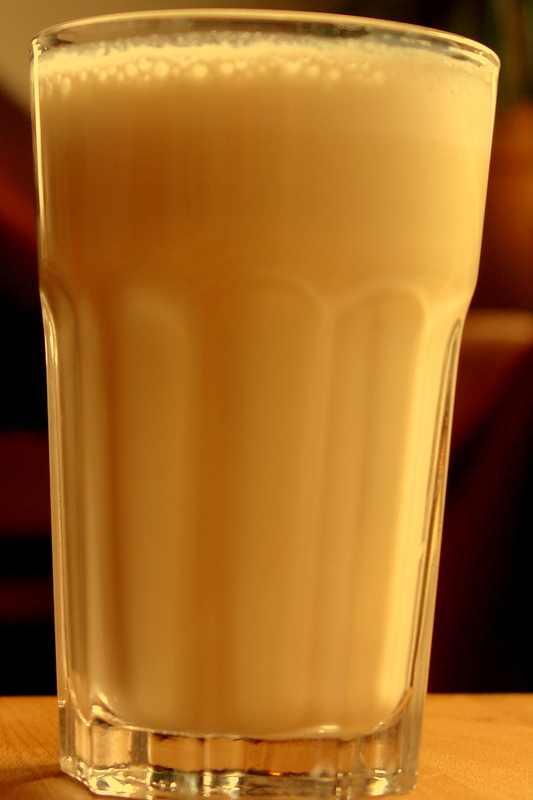 Banana milk! Belly button in or out? In but I think it might pop at some point its def starting to change.